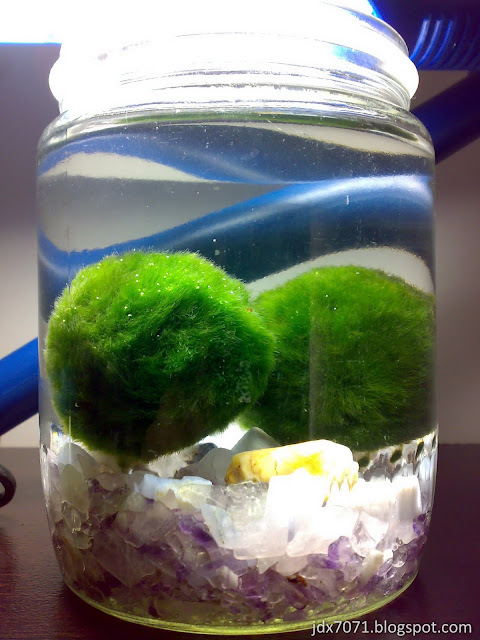 I put some crystal stone into the my Marimos' jar. 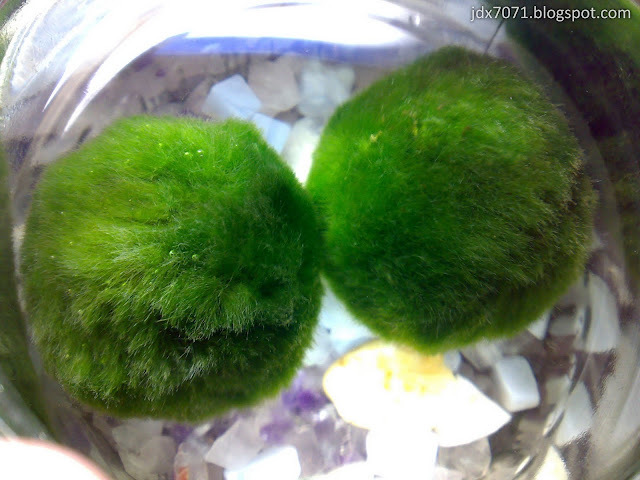 Leave it under my table lamp for around 1 hour, and the bubble start to form around the top of Marimos where it receive most of the light. I believe they are doing Photosynthesis. 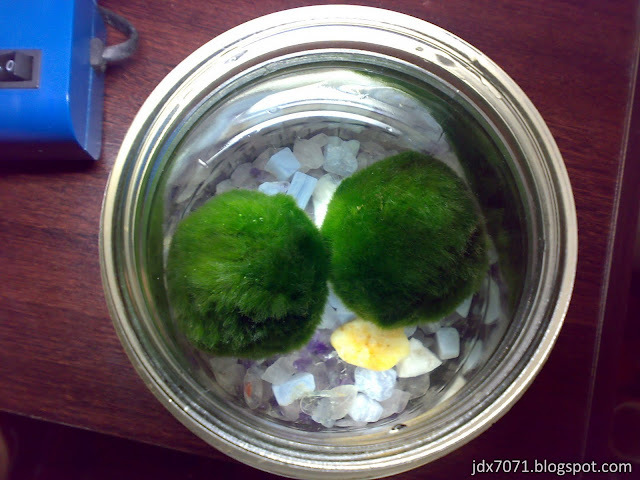 Top views of the Marimos in the jar. do you close the jar?? 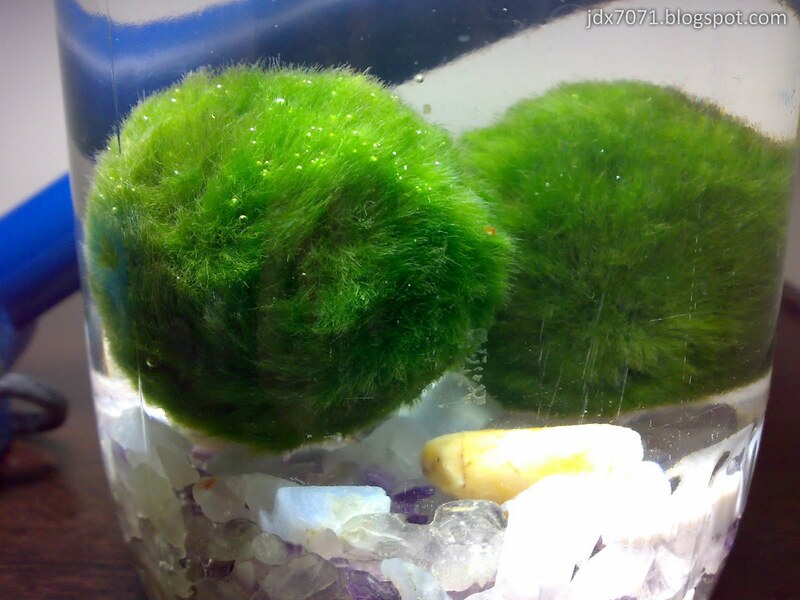 i have 1 marimo..it is still in the closed botol with water.If i continue to do so,it will die?? I put my Marimos in closed jar for around 6-7 month already, so far they are ok. I read from some forum that it is ok for Marimo, as long as you change the water frequently. Apple Ipad 2 & Foxconn's Lies?